Add warmth and elegance to any décor with a steel stove featuring a lively, vibrant burn and efficient heating. This large size provides a robust fire perfect for heating larger spaces. The steel construction allows for closer clearances to walls as compared with cast iron models. It features a step-top design. It has an air wash manifold for exceptionally clean glass. Preheated air is dispersed downward to shield the glass from soot particles for a clear view at all times. The clean glass as well as the panoramic viewing area allow you to enjoy the view of dancing flames. 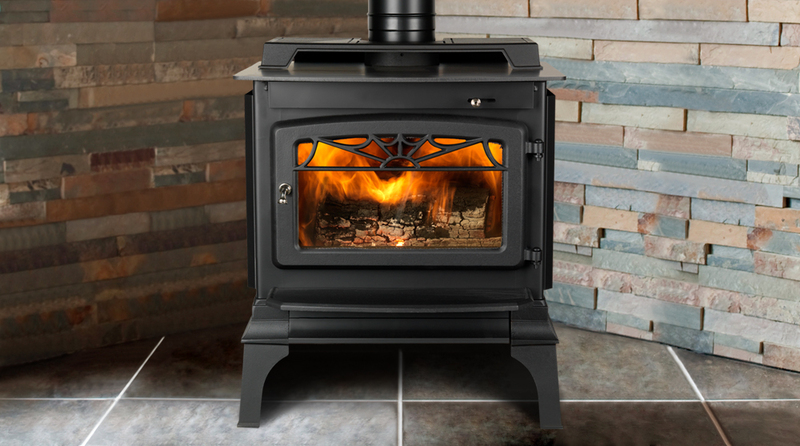 Vermont Castings prides itself on producing beautiful hearth systems that are made to last and the Windsor is available in multiple sizes with pedestal or leg options.